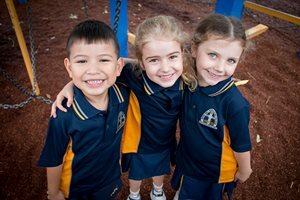 Enrolment into Pre-K is considered as enrolment into the College through to Year Twelve. Please refer to the Enrolments section of the website for more information about our enrolment policy and fee structure. Enrolment interviews are conducted the year before commencing Pre-K during which some simple questions and conversation are conducted with you and your child as an indicator of their readiness for this program. Tours of the Pre-K facilities will be available after opening in 2019. Students commencing Pre-K at the start of the College year must turn four years old before 30th April. They must be toilet trained and be able to communicate clearly. For more information please contact the College via email enrolments@rhac.nsw.edu.au or phone 02 8824 5844.